Dinosaur led by award-winning trumpet player Laura Jurd to headline September festival. Lancaster Jazz Festival has announced the headline act for the seventh annual festival this September. 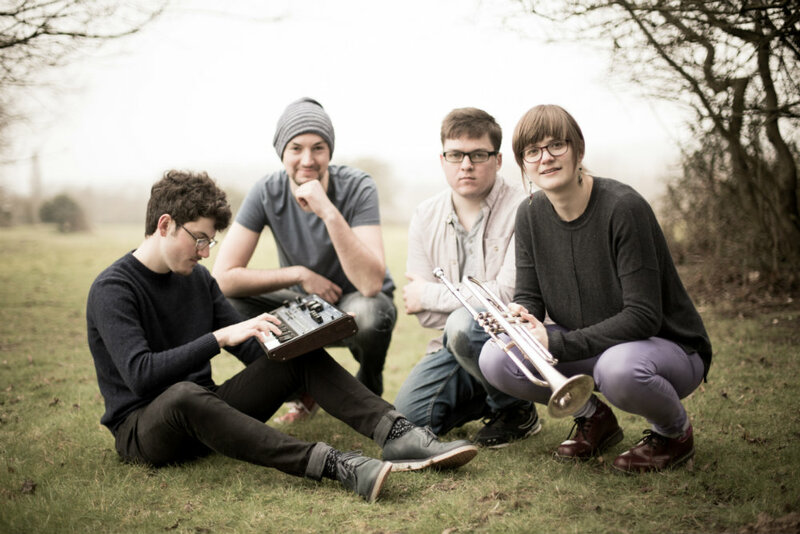 British quartet Dinosaur, led by award-winning trumpet player Laura Jurd, will perform in The Round at The Dukes, Lancaster on Saturday 16 September. Tickets for the performance, which starts at 7.30pm, are on sale from The Dukes now, with prices ranging from £20 to just £5.Tickets can be booked by calling the box office on 01524 598500 or online via lancasterjazz.com. Dinosaur is considered one of the most vital and creative new ensembles in Europe today. Led by trumpeter and composer Laura Jurd, the quartet (BBC New Generation Artist 2015 – 2017), featuring star keyboardist, and Lancaster Jazz Festival favourites, the Elliot Galvin Trio, are described by All About Jazz as “a new British Jazz supergroup”. The band brings together a remarkable fusion of thoughtful compositions, skilful musicianship and visceral energy, producing music that is both formidable and utterly compelling. Dinosaur recently appeared on the front cover of Jazzwise Magazine and in September 2016, released their debut album ‘Together, As One’ to widespread critical acclaim. The announcement of Lancaster Jazz Festival’s headliners comes ahead of the full programme release next month. The rest of the line-up will be revealed on Saturday 1 July at a special launch event at The Hall, Lancaster, that will feature a performance from Lancaster Jazz 2015 Festival closers, Word of Moth, at 7.30pm. Tickets can be purchased at www.lancasterjazz.com. Lancaster Jazz Festival will be holding two further warm up gigs at The Hall in the months leading up to the festival itself. Blind Monk Trio will perform on Saturday 5 August at 7.30pm, and The Electrio will play the venue on Saturday 2 September at 7.30pm. Tickets for both gigs can be booked through the Lancaster Jazz website. Lancaster Jazz Festival 2017 will take place from Friday 15 September to Sunday 17 September at venues around Lancaster City Centre. For more information about the festival of Lancaster Jazz Festivals other events visit www.lancasterjazz.com.